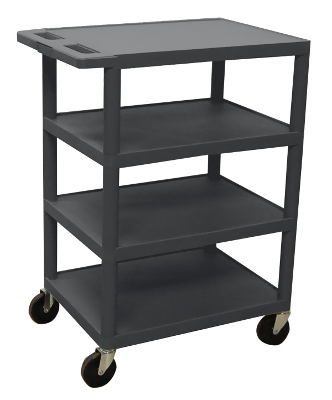 Luxor's BC's series utility carts are multi-tiered, lightweight carts made for every type of environment. It is constructed from high density polyethylene structural foam molded plastic shelves. Clearance between shelves is 8 1/2"
Luxor's quality products are backed by their lifetime warranty.Easy assembly. Made in USA.